Uri Ariel responds to Livni's accusations of 'torpedoing' talks with building plans, attacks 'crocodile tears' over plans known in advance. Housing Minister Uri Ariel (Jewish Home) fired back at criticism from Justice Minister Tzipi Livni on Saturday, after Livni accused him of deliberately issuing 700 building tenders in the Jerusalem suburb of Gilo in order to 'torpedo' the peace talks. Livni, Israel's negotiator in the talks, attacked Ariel on Channel 2, saying "he tried to torpedo what I'm doing together with the prime minister; the result was mainly that the whole world claims we are guilty even when we acted appropriately - that's the cost of Jewish Home's presence in the government." After Shabbat ended, Ariel responded by quoting a famous Talmudic saying: "I recommend minister Livni follow the advice of the sages: silence is a fence around wisdom." "The joke is on minister Livni, who received unlimited credit to make peace, included releasing lowly murderers, and failed completely; now she's looking for someone to blame other than herself," added Ariel. Responding to the accusation of 'torpedoing,' Ariel noted Livni's "wailing and crying about building in Jerusalem, Judea and Samaria are crocodile tears from someone who knew about the plans beforehand, like the Palestinians and the Americans." A construction freeze on Jewish building in Jerusalem, Judea and Samaria was not a condition to the ongoing peace talks, which have been running since last July. US Secretary of State John Kerry had previously admitted that both he and the PA team had known that Israel would continue building when they agreed to initiate talks. 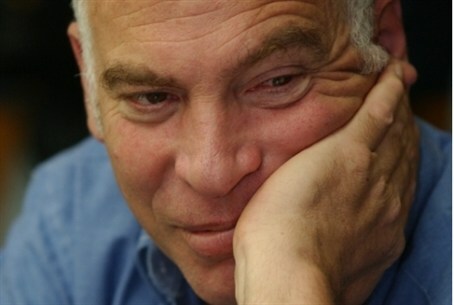 "Bennett waiting to stop an agreement"
Livni's criticism also targeted Jewish Home Chairman Naftali Bennett, who she claimed "is just waiting for the chance to prevent us from an agreement, so forgive me for not rejoicing along with you." The verbal attacks echo those of Finance Minister Yair Lapid, who responded Friday to Palestinian Authority (PA) Chairman Mahmoud Abbas's radical new conditions calling for 1,200 terrorists, including arch-terrorist Marwan Barghouti, to be freed, along with a PA capital in Jerusalem, among other demands. When Abbas released the new demands, "the only Israelis who rejoiced were those in the extreme right, who prefer to wait for the Messiah instead of trying to reach a solution," claimed Lapid. The peace talks reached a critical point last week, when Abbas on Tuesday requested to join 15 international agencies in breach of the talk conditions. In response, Israel cancelled the last terrorist release "gesture" which had been put on hold last Saturday, due to the lack of progress in the talks and popular opposition to the move. Following the developments, US Secretary of State John Kerry said he would "evaluate" his next steps with US President Barack Obama, holding a "reality check" about the talks. Kerry noted America's time and efforts are "limited."